If you are currently a smoker, it will come as no surprise to you that smoking is harmful to virtually every aspect of your health. However, if you are also missing one or more of your natural teeth and considering dental implants as a solution, then you will definitely want to reconsider your devotion to your habit. While implant dentistry has one of the highest success rates in all of medicine, with approximately 98 percent of all procedures being successful, smoking dramatically increases the risk of your finding yourself among the 2 percent of patients who experience dental implant failure. At the dental implant and oral surgery practice of Drs. Gerald W. Bird and Jay A. Johnson, we do everything we can to promote the success of the implant dentistry procedures we perform. However, as a patient, you will play a critical role in the success of your own procedure. This is why, if you currently smoke, our oral surgeons will discuss the issue of dental implant failure and smoking with you in detail during your consultation at our Melbourne, FL practice. While Drs. Bird and Johnson can perform multiple treatments to restore your gum and jawbone tissues to support dental implants, your continued smoking could compromise these tissues further while interfering with healing after your surgery, both of which could lead to dental implant failure. How Can Smoking Contribute to Dental Implant Failure? 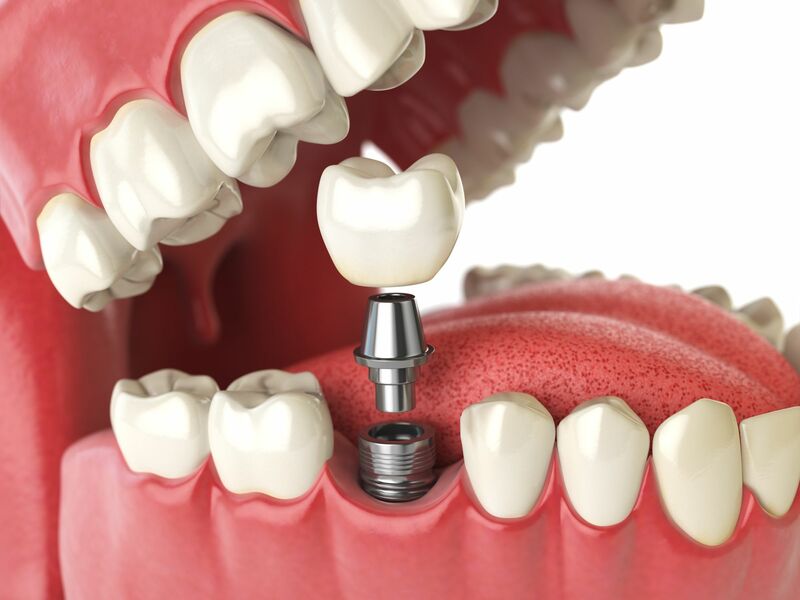 There is no doubt that dental implants offer the strongest and most stable method of supporting crowns, bridges, and dentures in the replacement of missing teeth. However, in order to do so, dental implants must fuse together with the jawbone through a process called osseointegration. During osseointegration, the titanium implant posts essentially become part of the patient’s natural anatomy, replacing the missing tooth roots. The body does not recognize titanium as a foreign substance, so dental implants not only function as sturdy, durable tooth roots but also halt the degradation of the gum and jawbone tissues that occurs as a result of tooth loss. Unfortunately, smoking can put the osseointegration process in jeopardy. The absorption of the chemicals in tobacco smoke by the oral tissues inhibits blood flow, which greatly interferes with the healing process. This in turn causes the gum and jawbone tissues not to heal as efficiently or as effectively as they might otherwise. Dental implants can fail after osseointegration, as well, which is why our dentists strongly encourage smokers to give up the habit for good. Smoking dramatically increases the risk of gum disease, which is the number-one cause of tooth loss among adults. Likewise, gum disease can result in the loosening and eventual failure of implant-supported restorations. Fortunately, patients who quit smoking stand the same chance of having a successful implant dentistry procedure as non-smokers. To learn more about dental implant failure and why it is important to quit smoking before implant dentistry, please contact our dental implant and oral surgery practice today.